We all know the daily stress of having to pack lunch boxes that are not only nutritious but also appealing to our kids. According to the Australian Dietary Guidelines, children aged 4-8 years should aim for 1½ serves of fruit, 4½ serves of vegies, 1½-2 serves of dairy, 4 serves of grains and 1½ serves of lean meats, nuts and nut pastes and legumes each day for optimal health. One third of our children’s daily food intake occurs at school so it’s important it’s nutritious as well as delicious. The good news is there’s a whole range of healthy foods we can add to the lunch box that our kids will love. It might not be high on your child’s list of priorities but eating fruit and vegetables during the school day is important for their health. To get in their 4½ serves of vegies a day, kids really need to be eating some during school time. Whole fruits are easy to pack and provide excellent nutrition. Vegetables can be provided as part of sandwich fillings, muffin ingredients or simply chopped up and added to the lunchbox individually. There’s certainly nothing wrong with packing sandwiches, but there’s a range of other grain-based foods you can pack that provides energy for your child. Aim to include wholegrain and high fibre varieties wherever possible. Protein helps young bodies grow and little tummies feeling full. The most obvious protein foods are meat, but there are plenty of other protein foods you can include in the lunchbox too. 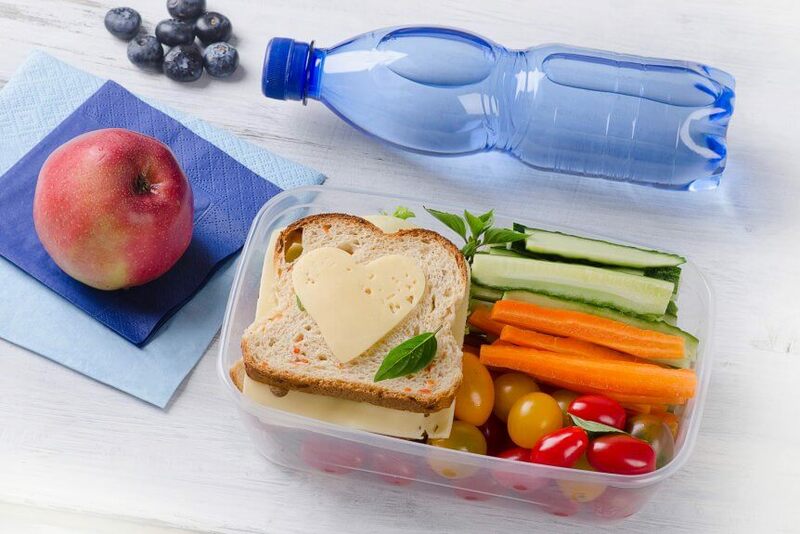 You can also add dairy foods such as cheese slices, yoghurt or soy-based products to the lunchbox too. Look for varieties that have no or limited added sugars. If you need help, Taste, Kidspot and AllRecipes all have a range of lunchbox recipes to inspire you.